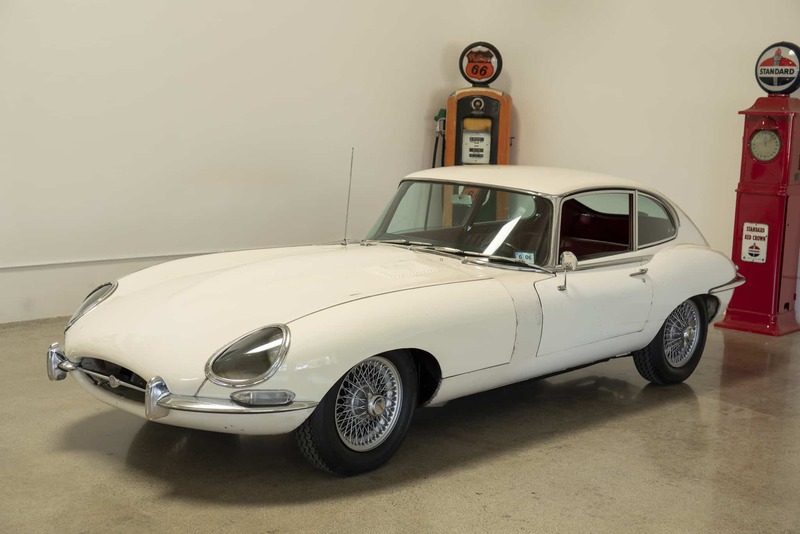 1967 Jaguar E-type Coupe 2 plus 2: Numbers-matching engine and transmission; solid-original floors and trunk; garaged West Coast car solid throughout. Interior is largely original, with front seats freshly redone in Connolly leather and new carpet installed. The car was stored for many decades in a garage, we recently serviced it and brought the engine back to running condition, new tires etc. All other mechanical systems need to be checked prior to driving. We go to extents to document our cars in pictures and provide the most transparent listings on Ebay. Please study the pictures carefully rather than requesting descriptions. Please complete any inspections or ask any questions prior to bidding or committing to buy the car. Thanks for the interest!